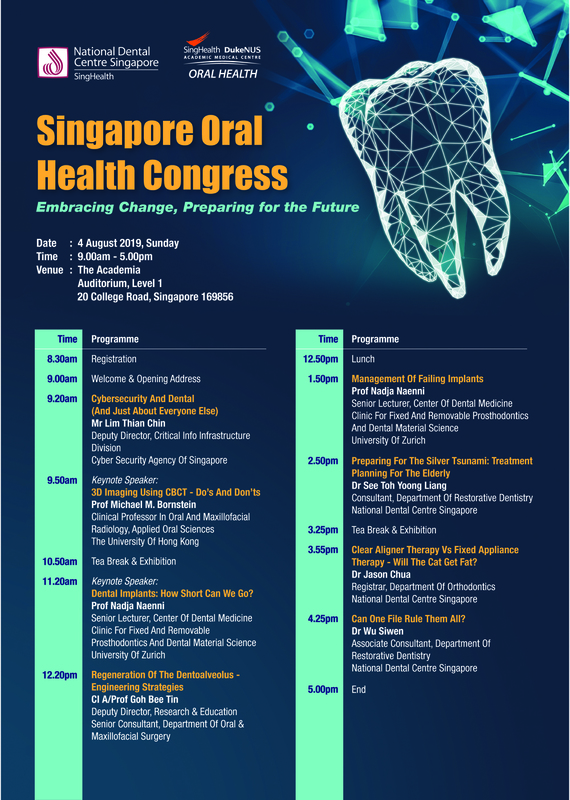 It is my greatest pleasure to cordially invite you to the Singapore Oral Health Congress which will be held at the Academia@SGH on 4th August 2019. 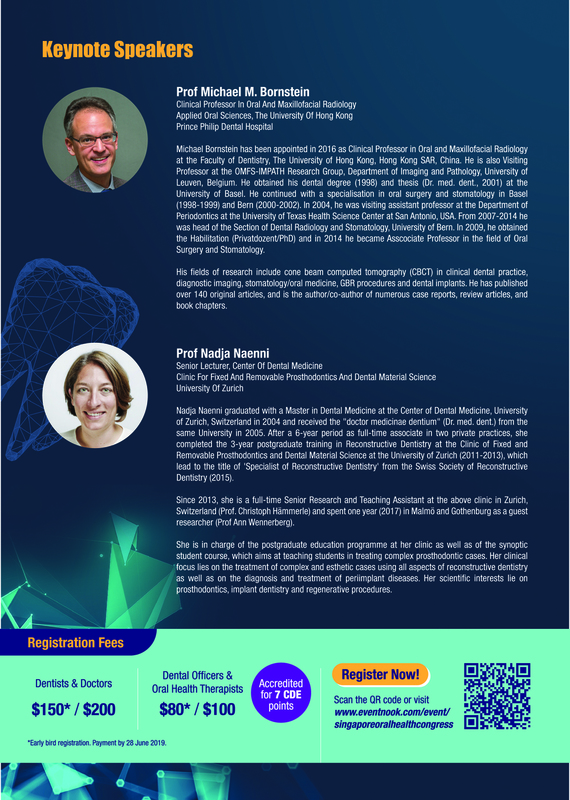 The Singapore Oral Health Congress will be held biannually and aims to provide you with the latest in best clinical practices and developments to help you deliver individualised and excellent patient care. The theme for this inaugural event is “Embracing Change, Preparing for the Future” as advancements in technology and the changing population profile continues to evolve the way we practice. The organising committee has put together an exciting programme which includes a wide range of topics. We hope that this year’s scientific congress will inspire you and result in collaborations and friendships. We look forward to seeing you! To download the programme and speakers information, please click here.